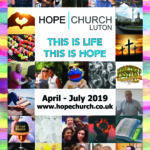 FACES are a group of concerned Christian and Muslims from Luton who have come together to respond to the issue of Child Sexual Exploitation (CSE) which has presented itself in different guises over the years. As people of faith we have been disturbed by narratives that suggest that exploitation is legitimised by religion. Research shows that victims and perpetrators of abuse are found in all communities, and yet media coverage has often ignored the breadth of the problem, fuelling a narrow sterotype. If this is not challenged we do a disservice to the majority of victims, whose experiences of abuse don’t fit one particular profile – and we risk allowing fear to divide and damage our communities. We recognise that abuse is real and we believe that faith communities can and should be part of the solution. Consequently, we have united to form Faiths Against Child Sexual Exploitation (FACEs), and together seek to raise awareness of the issue and implement a proactive, victim centred approach to challenging the exploitation of children and young people whatever it is happening. We believe there are four particular needs facing Luton at this time. Better support services for those who are being, or have been, sexually exploited. We want to play our part in mobilising people across Luton’s communities to effectively stand up against the sexual exploitation of children. Hope Church employs the FACES Development Worker which helps make the organisations work go further. We would like to thank ‘Near Neighbours’ and the ‘Bedfordshire and Luton Community Foundation’s London Luton Airport Ltd Fund’ who have both provided us with grants to make this work possible. Click here to find out more about Near Neighbours.